This one is a real "Tonic Classic" using some of the things I love most from the Tonic Studios range. I love the way the dies can be used to create a cut out pattern in the card so that the patterned paper underneath can be seen through it. 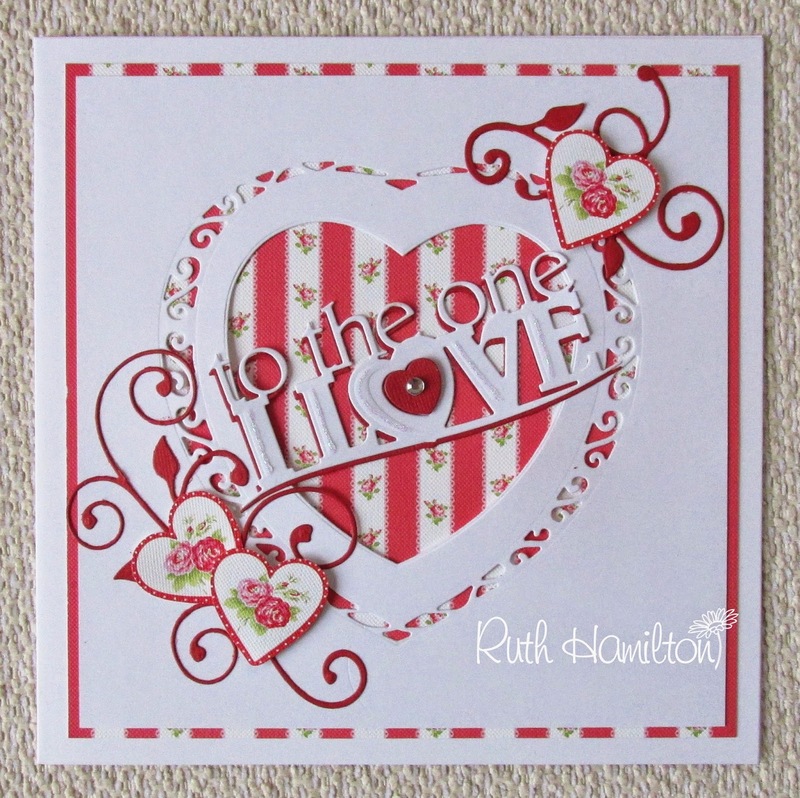 I've made this 8x8 card with the Tonic Studios Indulgence Affections Heart Base dies and added details with the Frond Finesse and One I Love die sets. The gorgeous paper is Bella Rose by Trimcraft. on Create and Craft TV at 10am and 5pm Today.